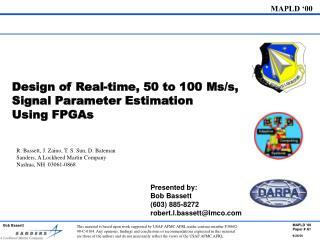 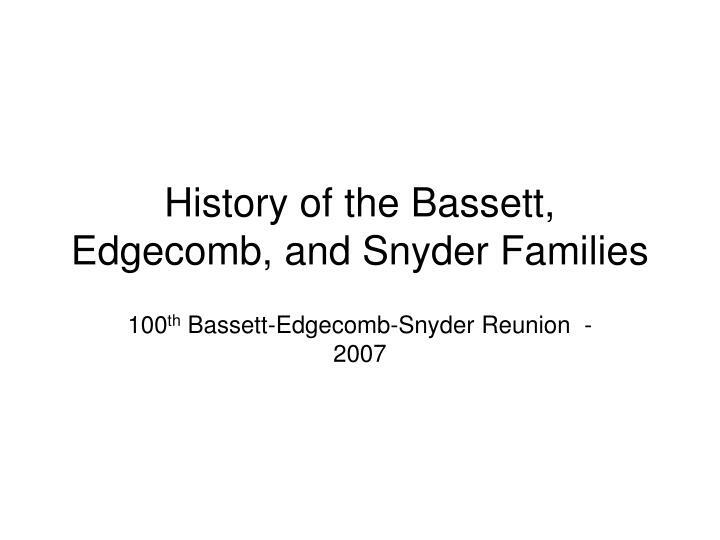 Why is it called the “Bassett-Edgecomb-Snyder” Reunion? 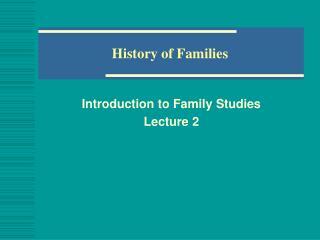 What do the three families have in common? 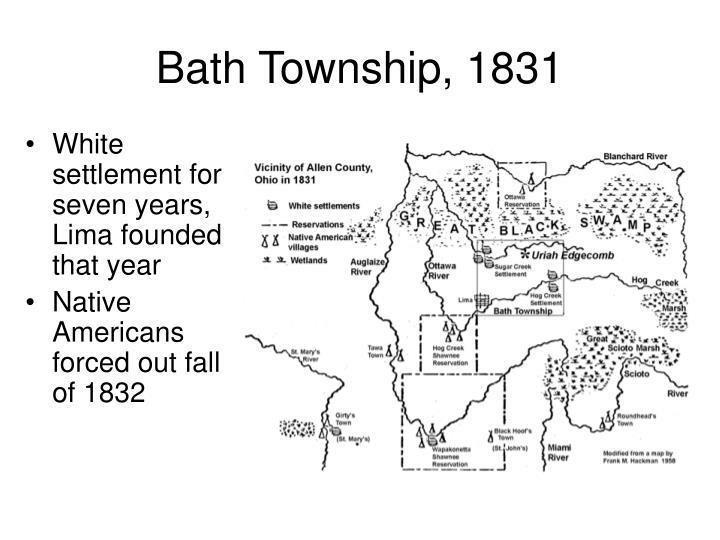 They settled and lived in the vicinity of northeastern Bath Township, Allen Co., Ohio. 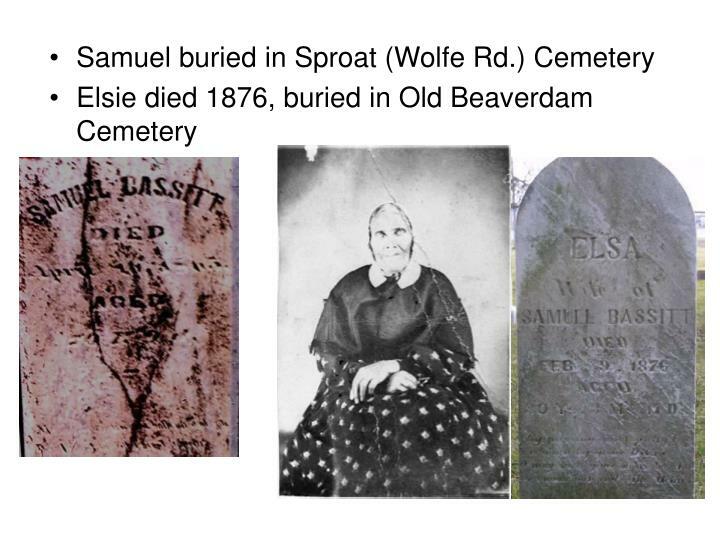 They came from Trumbull Co. in northeastern Ohio in the 1830’s. 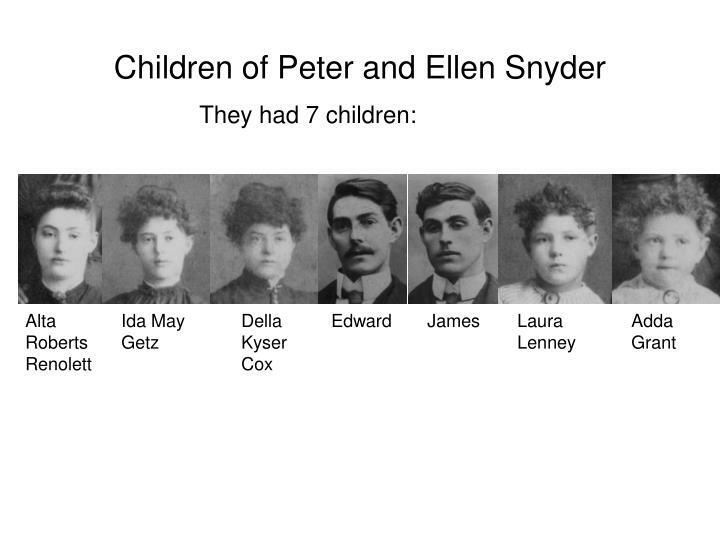 They lived in New York before coming to Ohio. 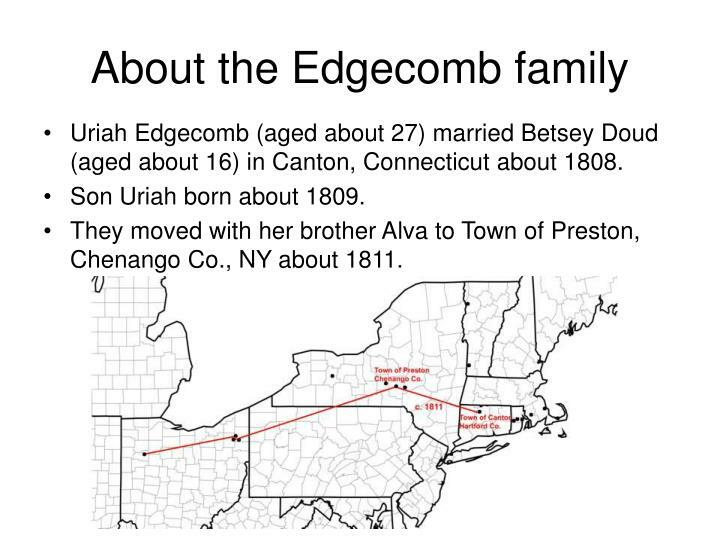 Uriah Edgecomb (aged about 27) married Betsey Doud (aged about 16) in Canton, Connecticut about 1808. 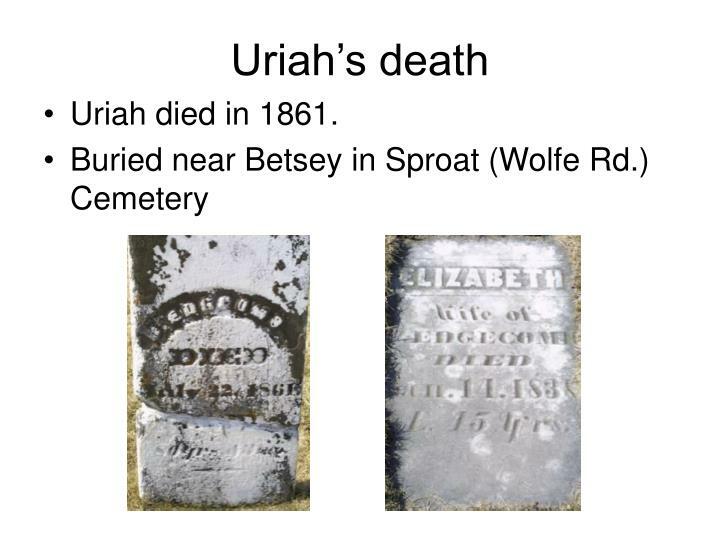 Son Uriah born about 1809. 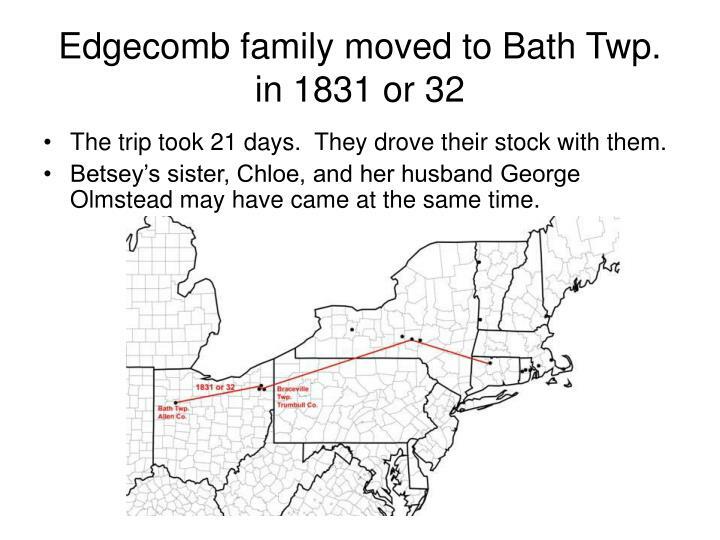 They moved with her brother Alva to Town of Preston, Chenango Co., NY about 1811. 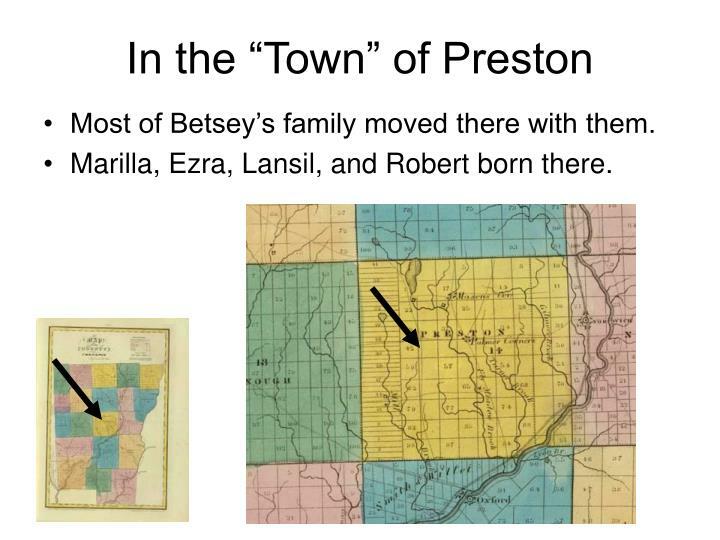 Most of Betsey’s family moved there with them. 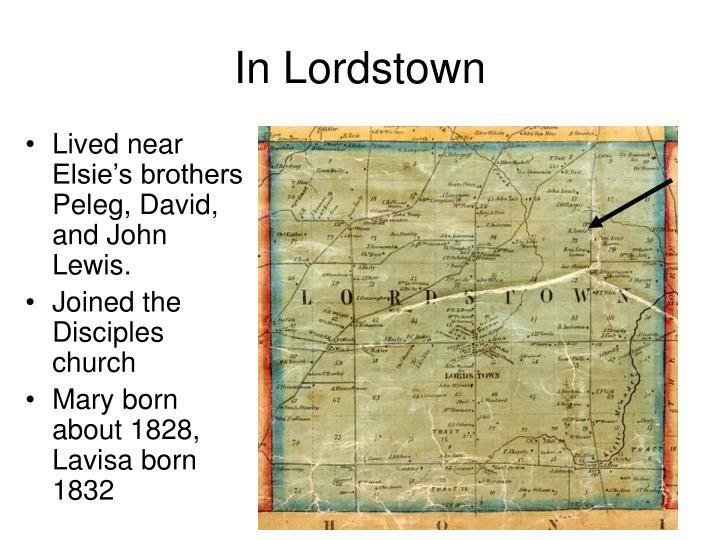 Marilla, Ezra, Lansil, and Robert born there. 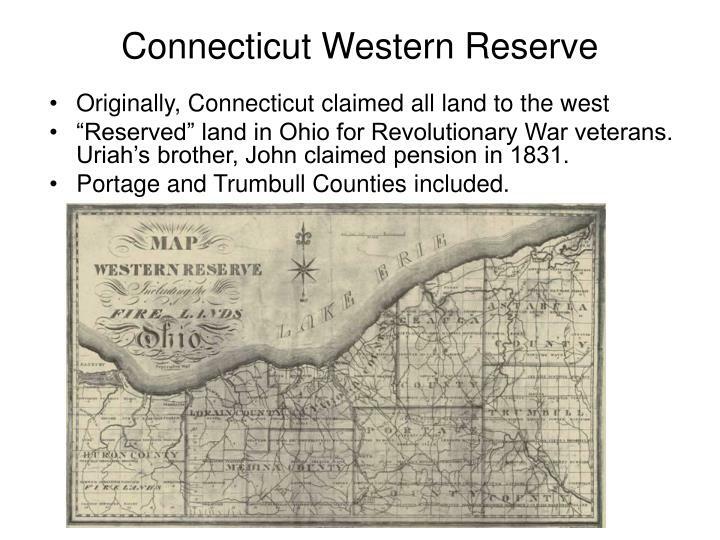 “Reserved” land in Ohio for Revolutionary War veterans. 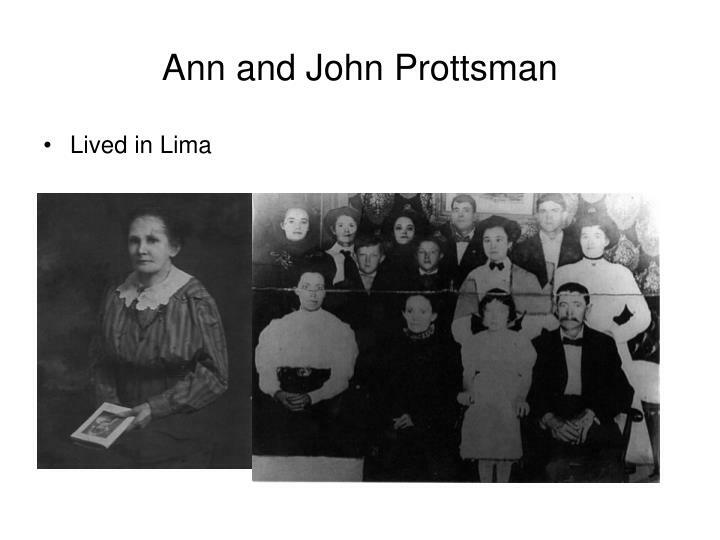 Uriah’s brother, John claimed pension in 1831. 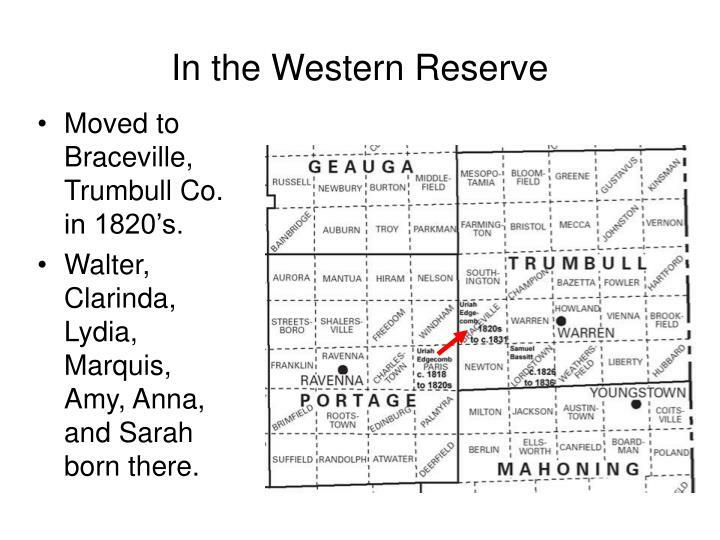 Portage and Trumbull Counties included. 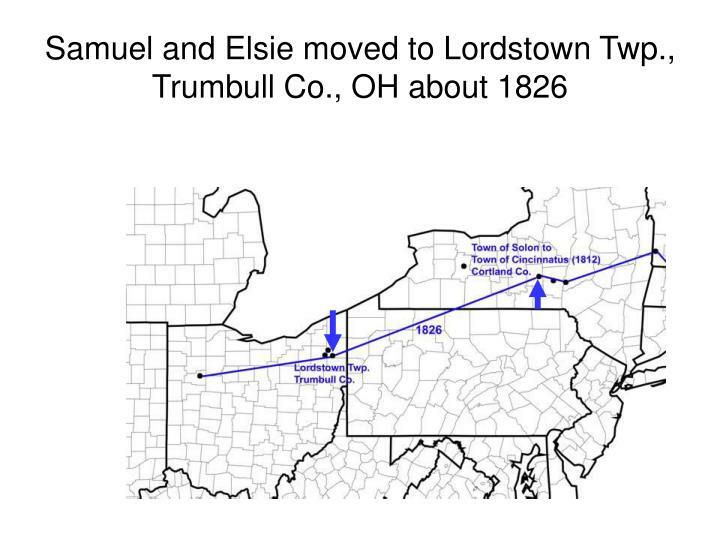 Moved to Braceville, Trumbull Co. in 1820’s. 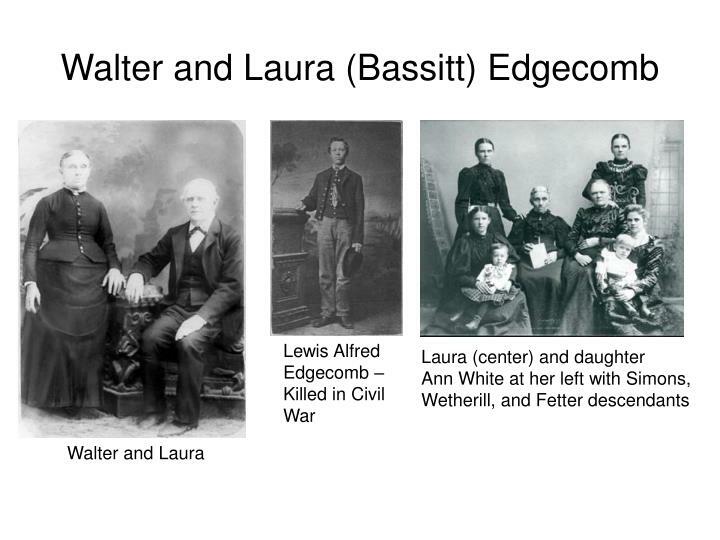 Walter, Clarinda, Lydia, Marquis, Amy, Anna, and Sarah born there. 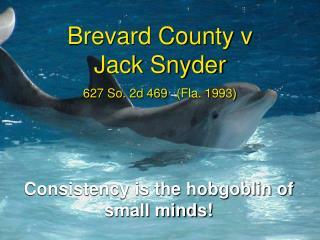 The trip took 21 days. 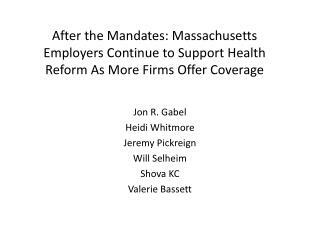 They drove their stock with them. 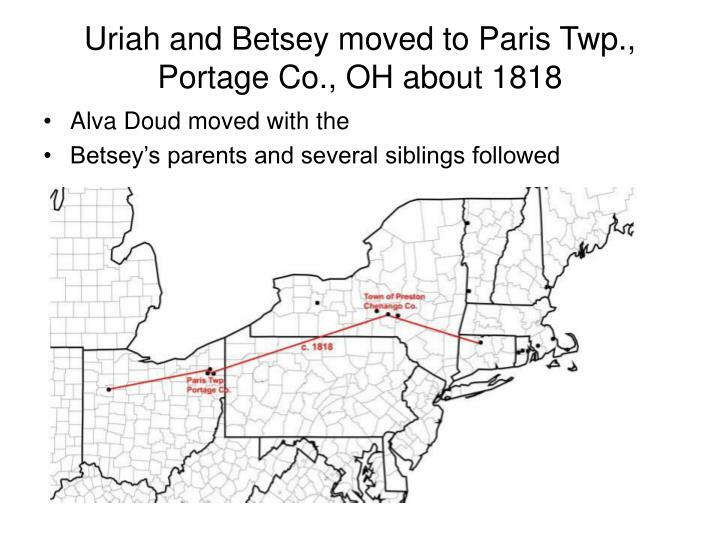 Betsey’s sister, Chloe, and her husband George Olmstead may have came at the same time. 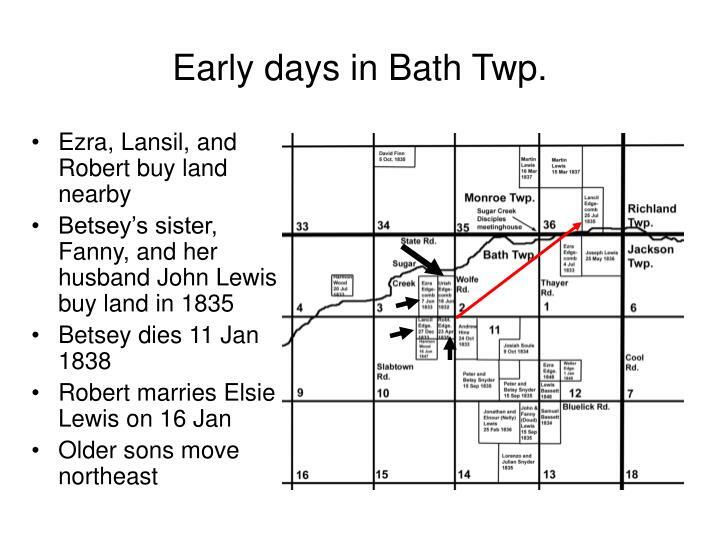 Early days in Bath Twp. 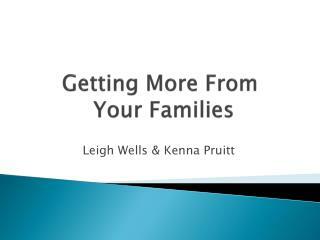 Uriah moves to corner of Dixie Hwy and Bluelick Rd. 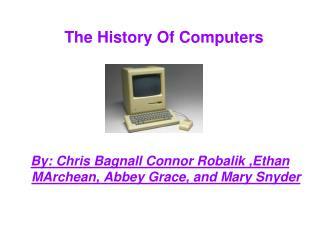 Followed by Ezra, Walter, Robert, Clarinda Snyder, and Marquis. 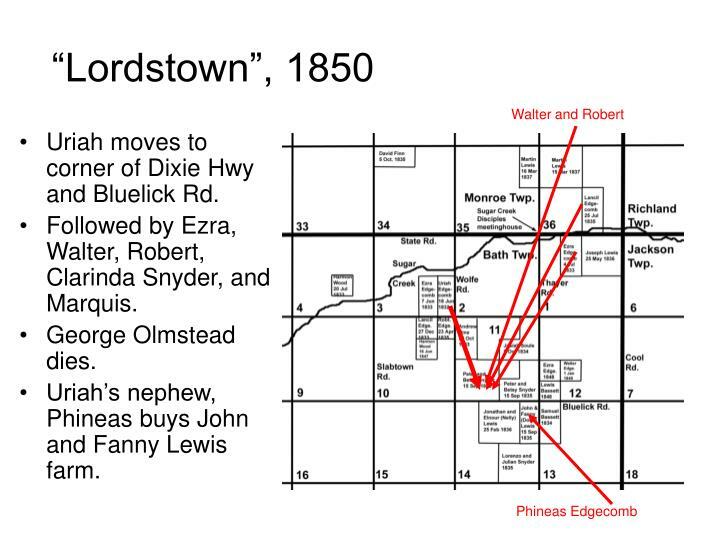 Uriah’s nephew, Phineas buys John and Fanny Lewis farm. 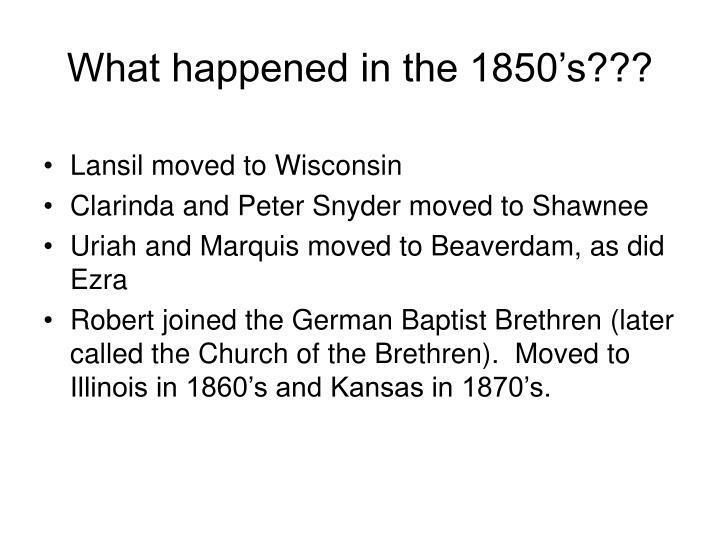 What happened in the 1850’s??? 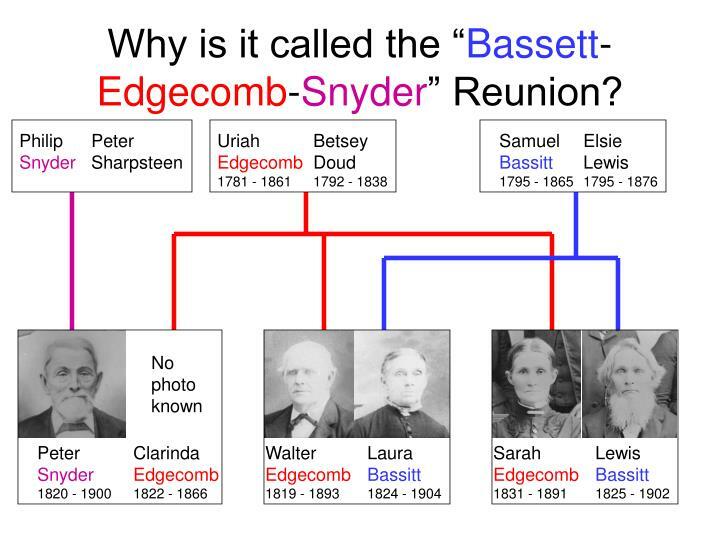 Robert joined the German Baptist Brethren (later called the Church of the Brethren). 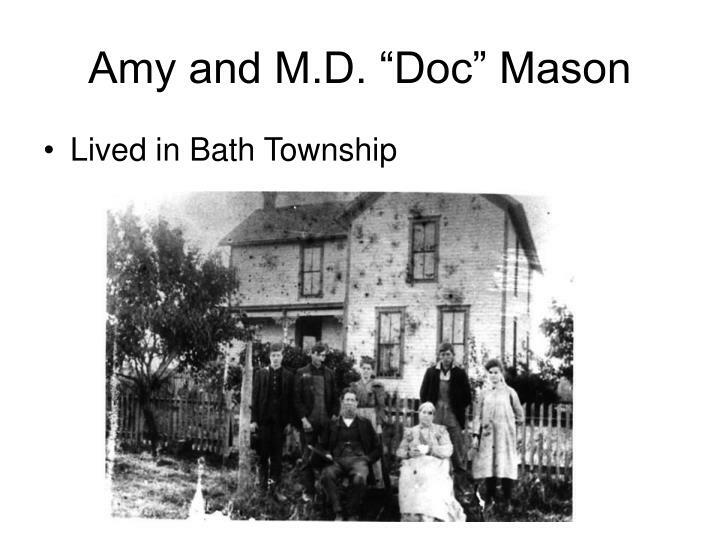 Moved to Illinois in 1860’s and Kansas in 1870’s. 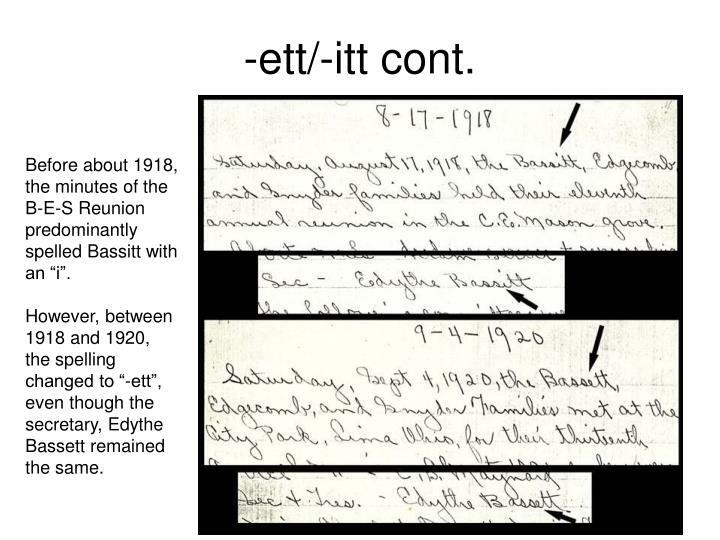 Rett Barber, “Pet” ?, Alba Edgecomb, ? 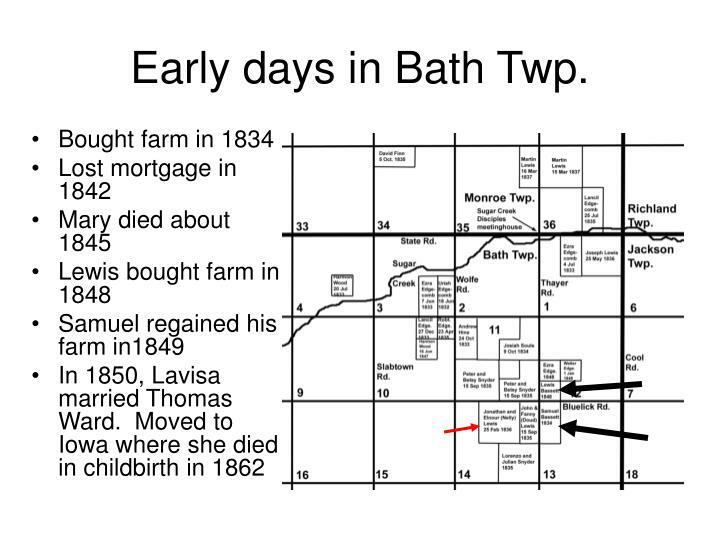 Laura born 1824, Lewis born 1825. 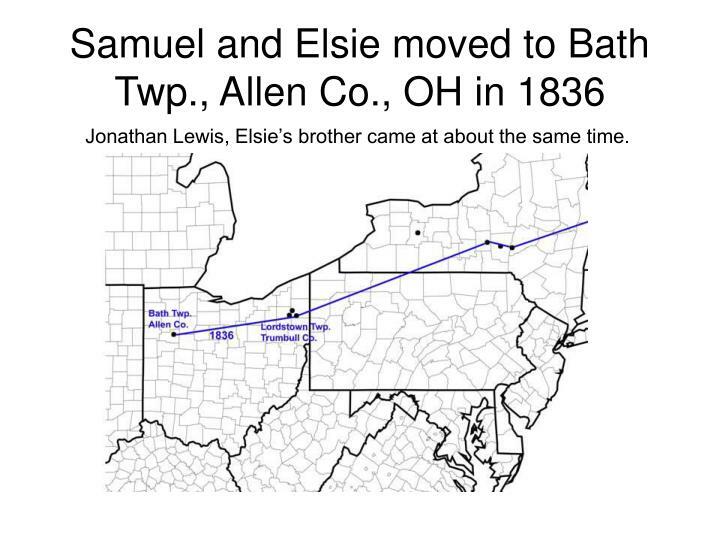 Lived near Elsie’s brothers Peleg, David, and John Lewis. 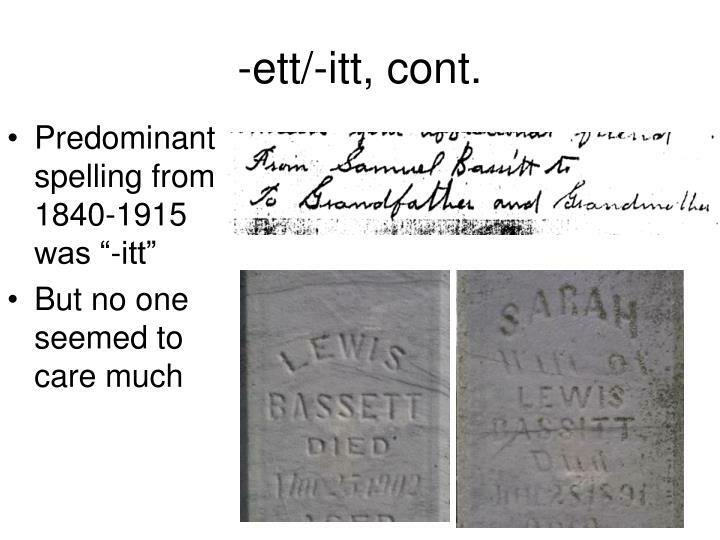 Jonathan Lewis, Elsie’s brother came at about the same time. 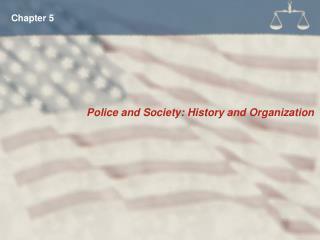 Engaged in Alabama and Georgia, Sherman’s March to the Sea, and skirmishes in the Carolinas. 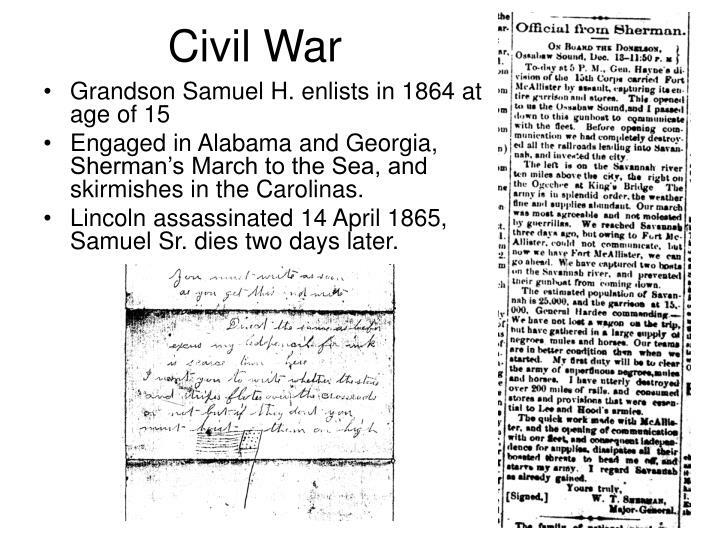 Lincoln assassinated 14 April 1865, Samuel Sr. dies two days later. 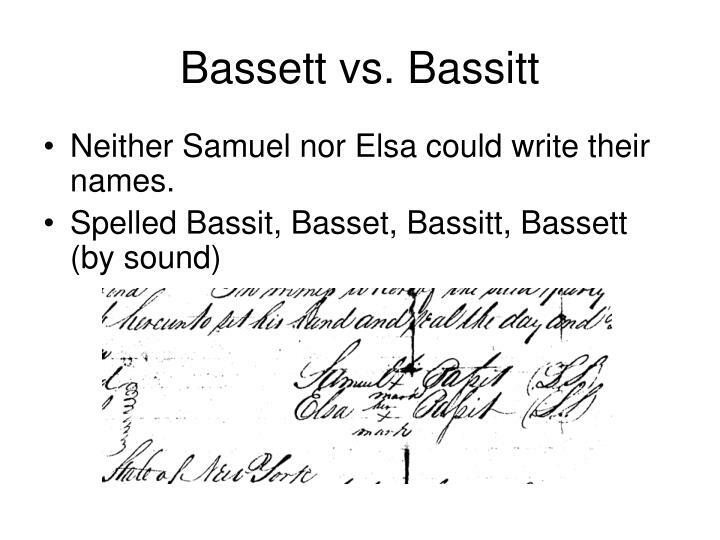 Neither Samuel nor Elsa could write their names. 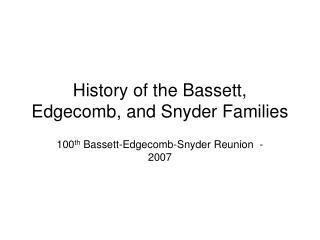 Before about 1918, the minutes of the B-E-S Reunion predominantly spelled Bassitt with an “i”. 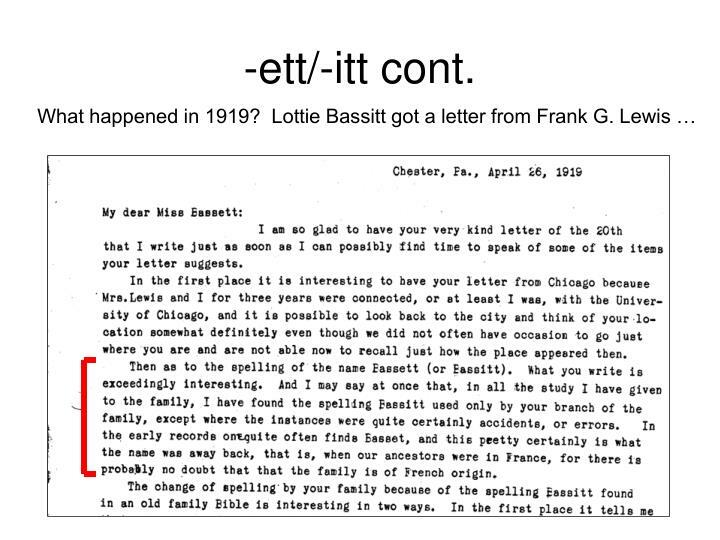 However, between 1918 and 1920, the spelling changed to “-ett”, even though the secretary, Edythe Bassett remained the same. 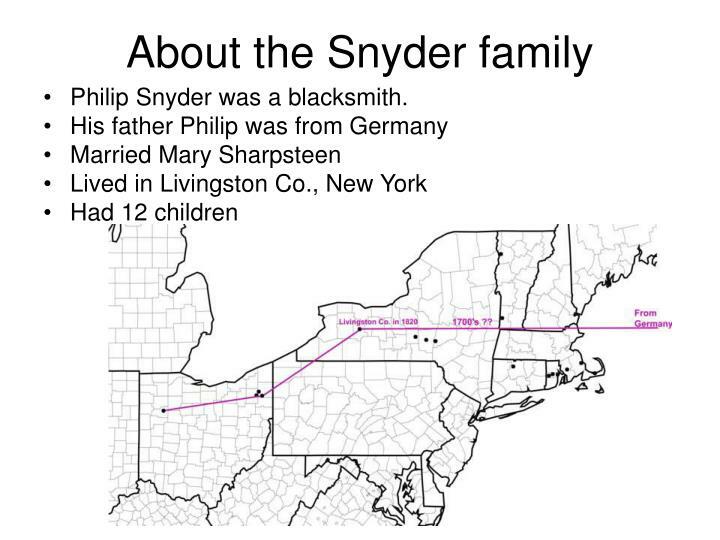 Philip Snyder was a blacksmith. 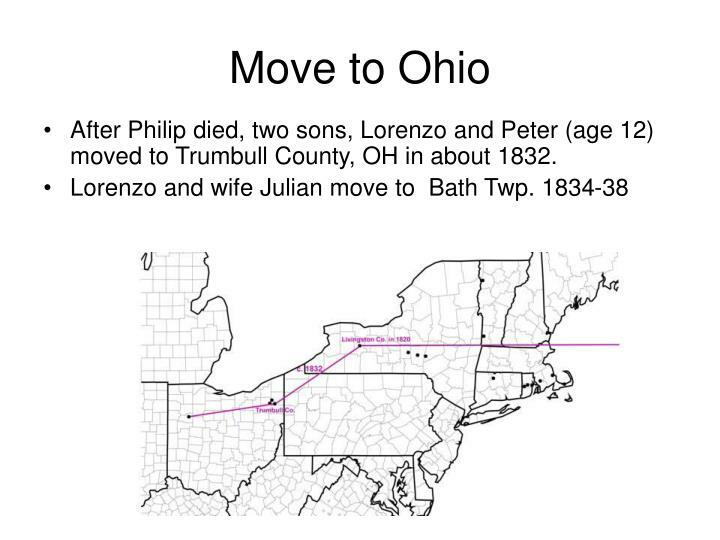 After Philip died, two sons, Lorenzo and Peter (age 12) moved to Trumbull County, OH in about 1832. 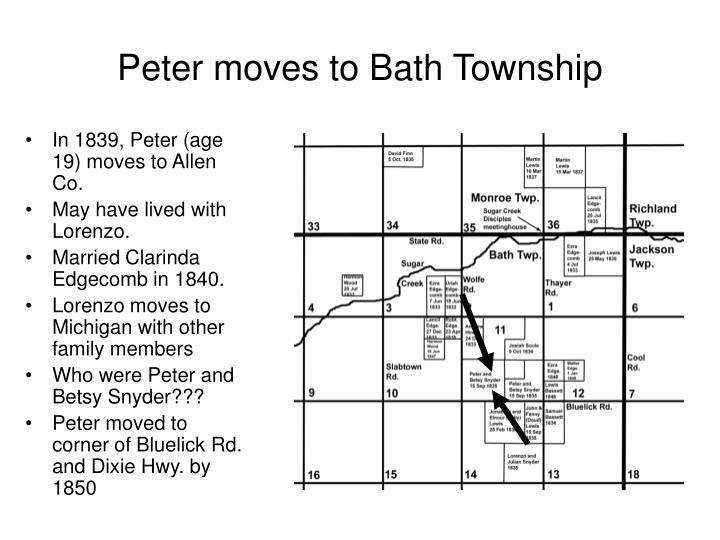 In 1839, Peter (age 19) moves to Allen Co.
May have lived with Lorenzo. 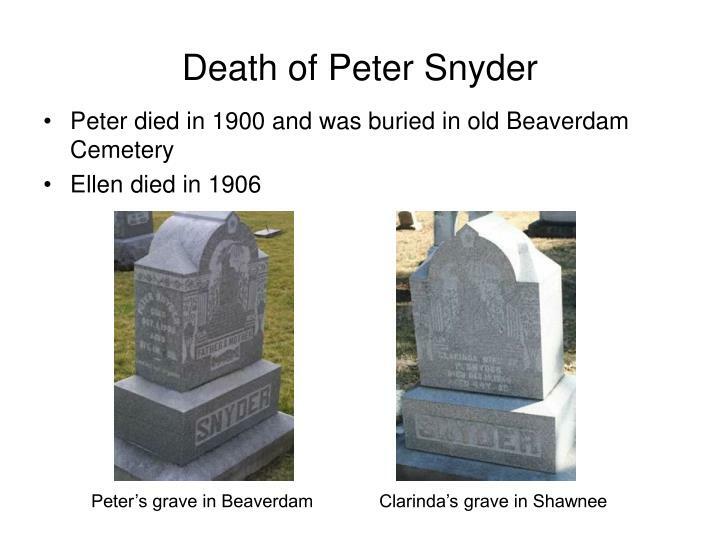 Married Clarinda Edgecomb in 1840.
Who were Peter and Betsy Snyder??? 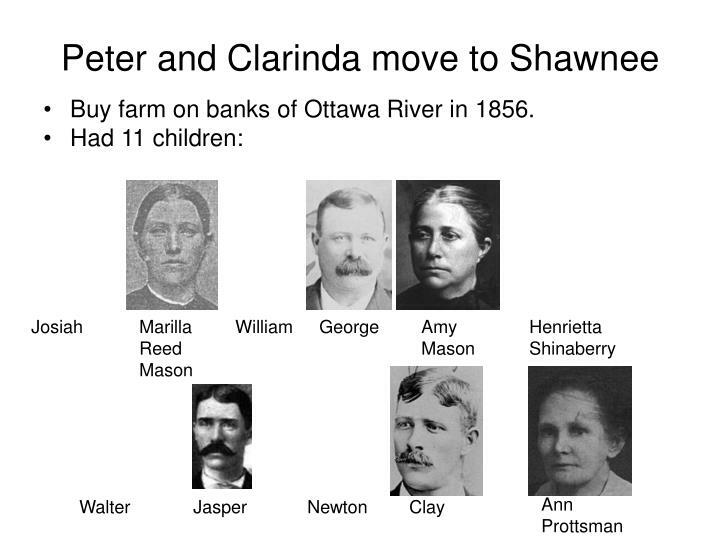 Buy farm on banks of Ottawa River in 1856. 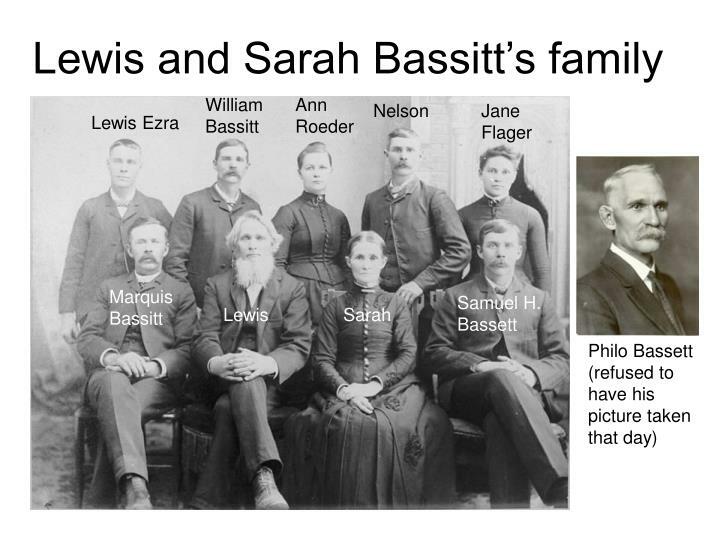 Josiah marries Clarissa Reed in 1862. 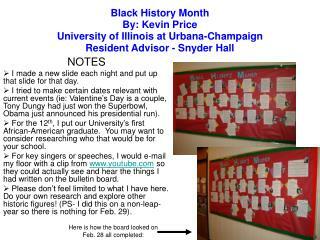 Enlists and dies later that year leaving fatherless daughter. 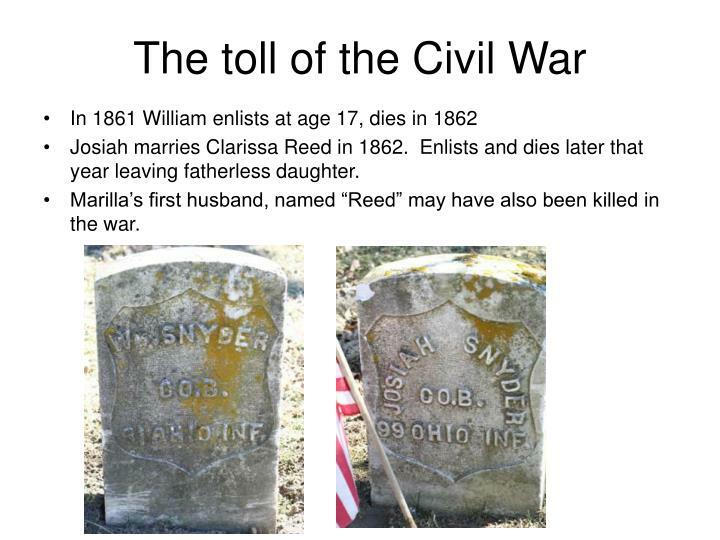 Marilla’s first husband, named “Reed” may have also been killed in the war. 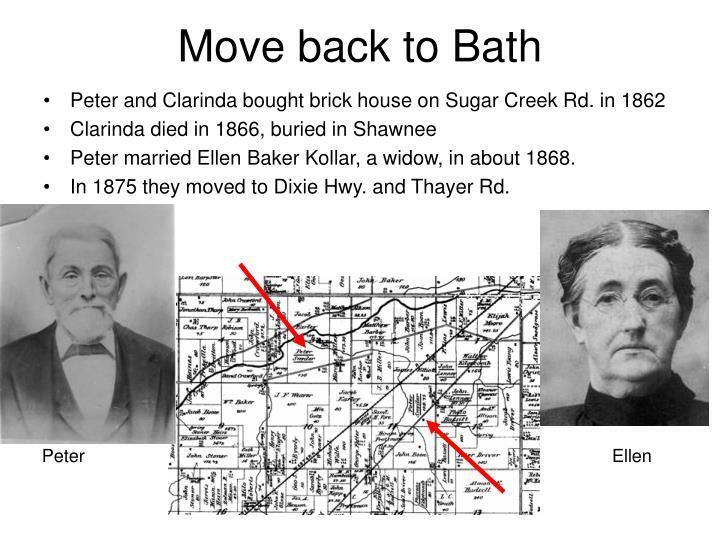 Peter married Ellen Baker Kollar, a widow, in about 1868. 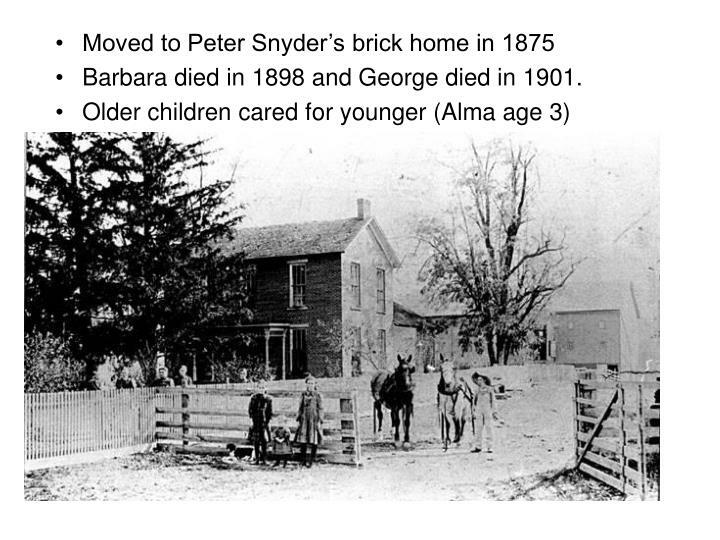 In 1875 they moved to Dixie Hwy. 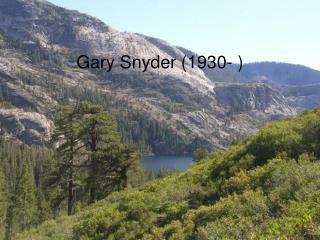 and Thayer Rd. 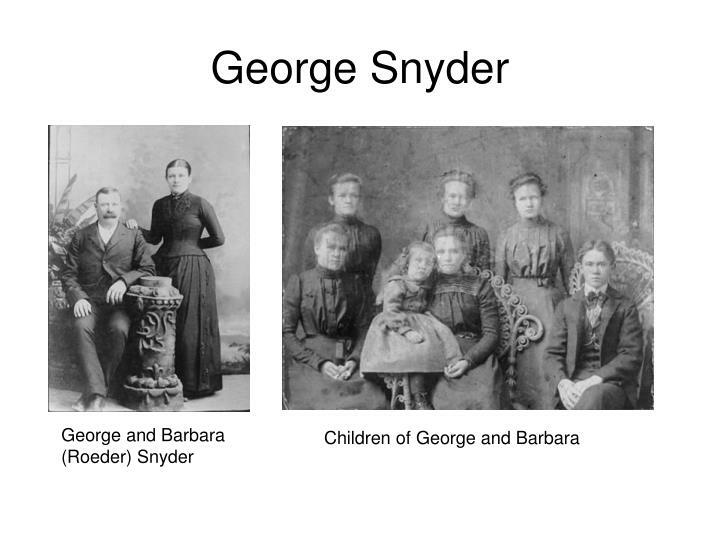 Barbara died in 1898 and George died in 1901. 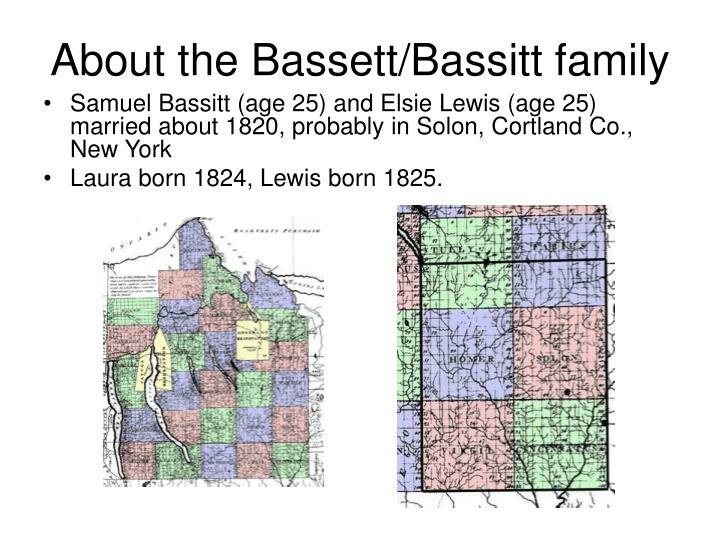 Where did the Bassetts come from? 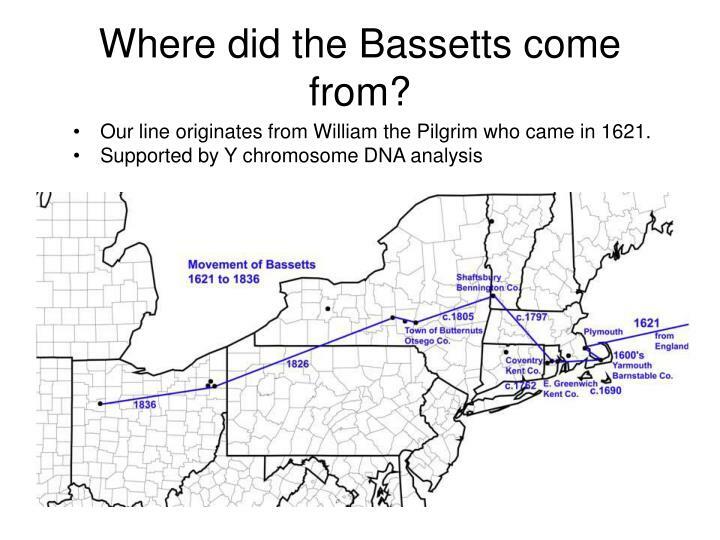 Our line originates from William the Pilgrim who came in 1621. 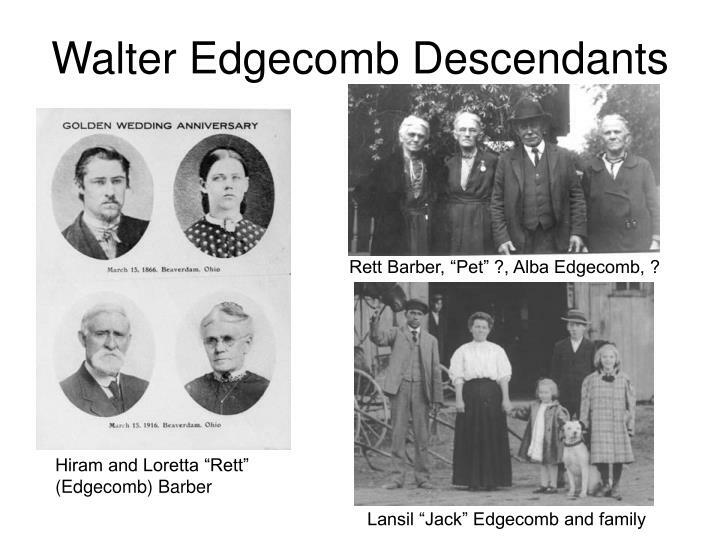 Where did the Edgecombs come from? 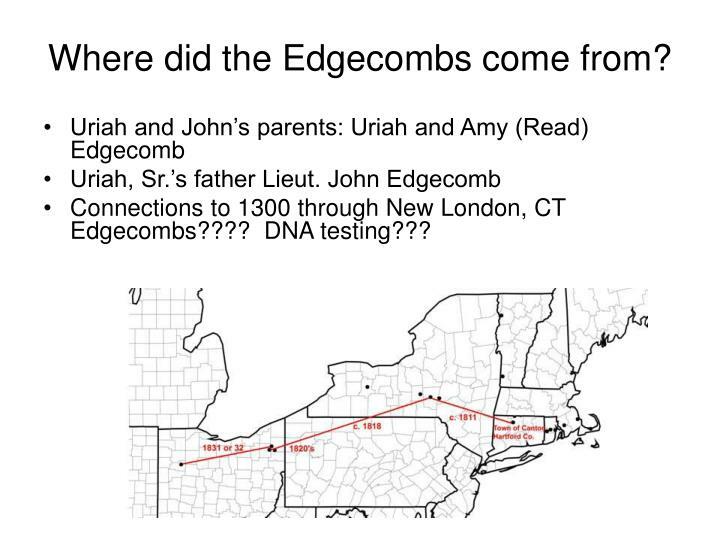 Connections to 1300 through New London, CT Edgecombs???? 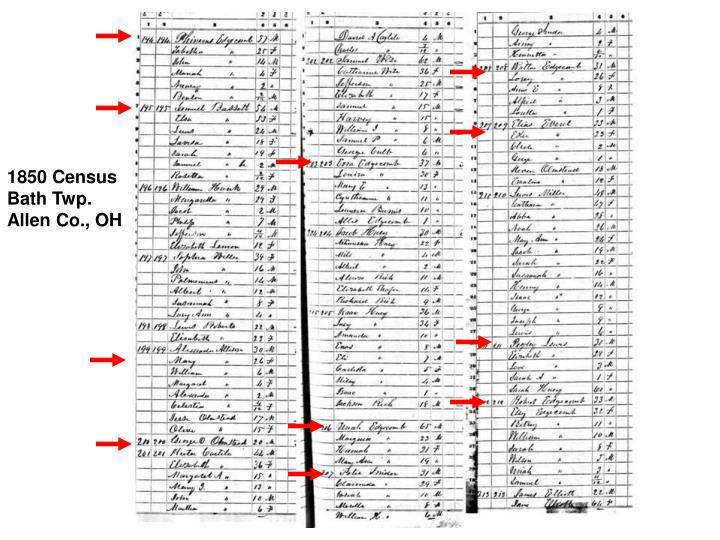 DNA testing??? 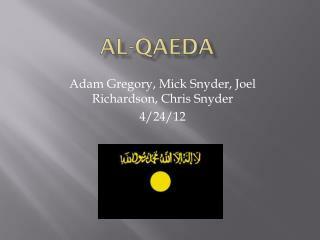 Thad Snyder -. 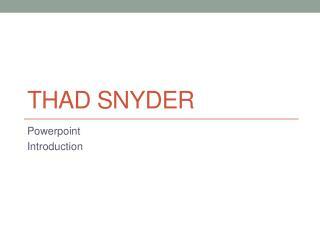 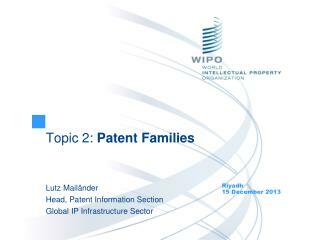 powerpoint introduction. 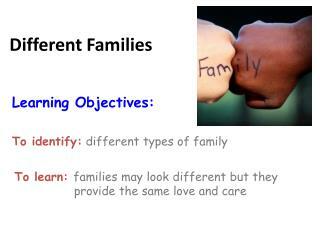 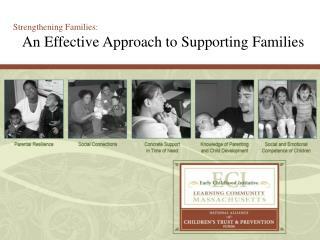 vision statement. 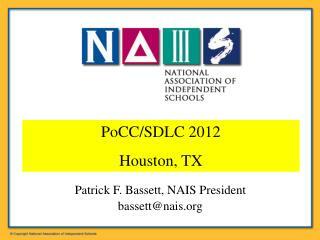 schools excel when all shareholders experience a commitment to instructional growth; in a positive, safe environment that reinforces the goals of the community. 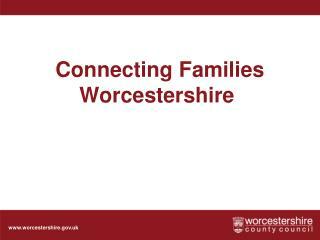 position applying for. 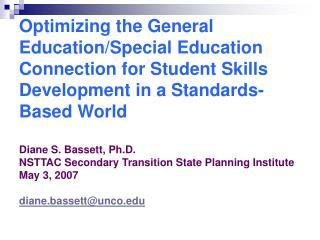 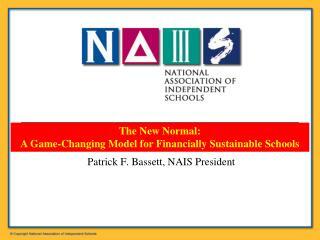 Patrick F. Bassett, NAIS President bassett@nais -The “big shifts” … and schools of the future. 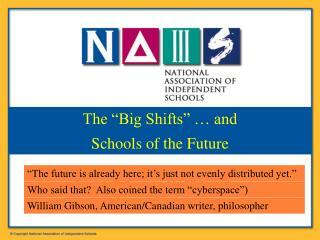 “the future is already here; it’s just not evenly distributed yet.”. 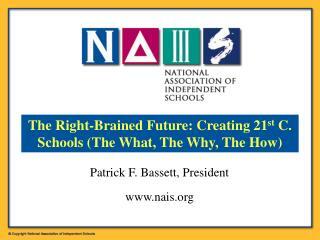 patrick f. bassett, nais president bassett@nais.org. 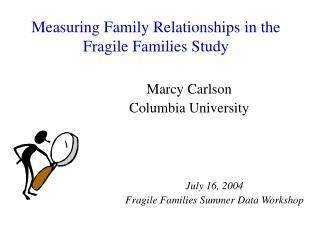 who said that?